The Municipal market of Foz do Iguaçu aims to be a coexistence environment, Leisure and culture for the population of the region. Your proposal adds a qualified space facing the population with commercial activities, cultural, tourist and gastronomic and based entirely on sustainability. We seek to provide the city of Foz do Iguaçu an unprecedented alternative for leisure and culture-bound trade, creating a special tourist industry to County. The proposal for the building presents contemporary language establishing references with the theme of regional culture, especially the guarani, seeking the recovery of the influence of it on our border territory. 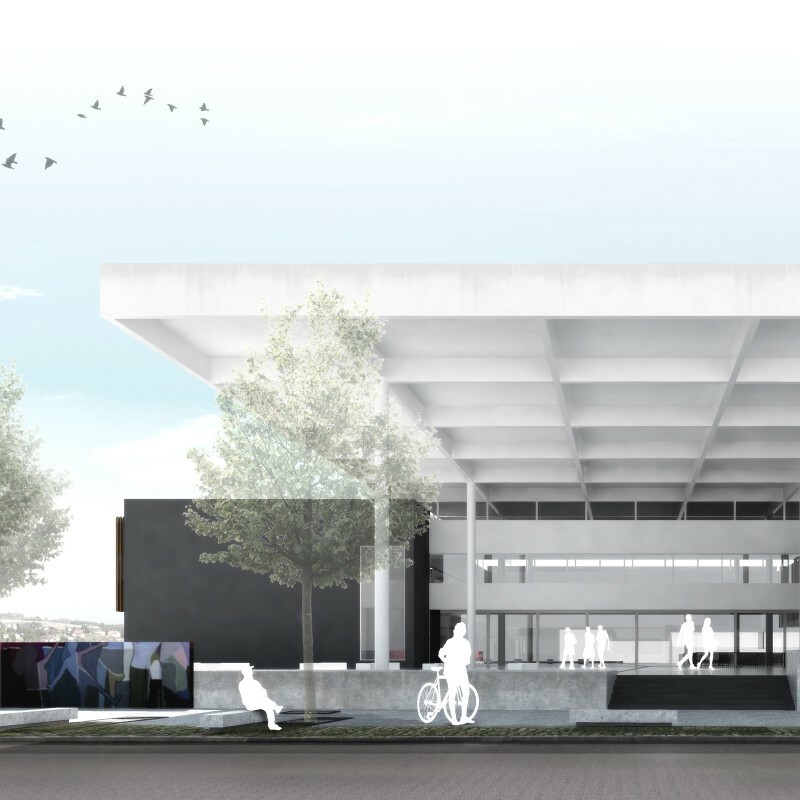 The building will be conformed into four decks, with parking spaces, shops and support areas. For the stormwater capture systems and power generation is still provided for in a technical area coverage, designed to support your installation and operation. The Municipal market of Foz do Iguaçu provides for the large-scale use of high standards of environmental sustainability and socio-economic, both in its construction as in the maintenance and management of future development. By: 3C Arquitetura e UrbanismoFiled under Projects. Bookmark the permalink. View EXIF Data.